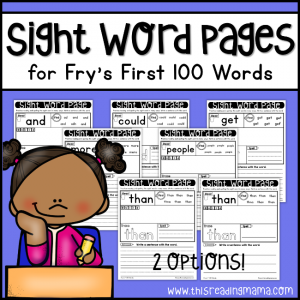 These sight word pages for Fry’s first 100 words help learners practice those beginning sight words in multiple ways including reading, finding, building, tracing, spelling, and writing it in a sentence! 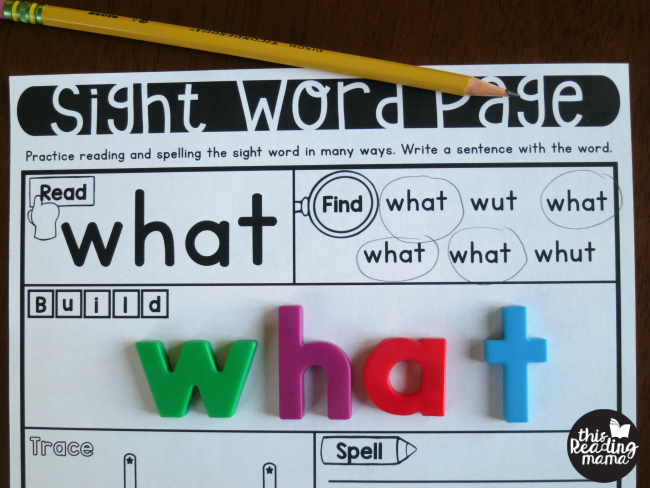 These sight word pages for Fry’s first 100 words are an interactive way for learners to build fluency with their sight words. 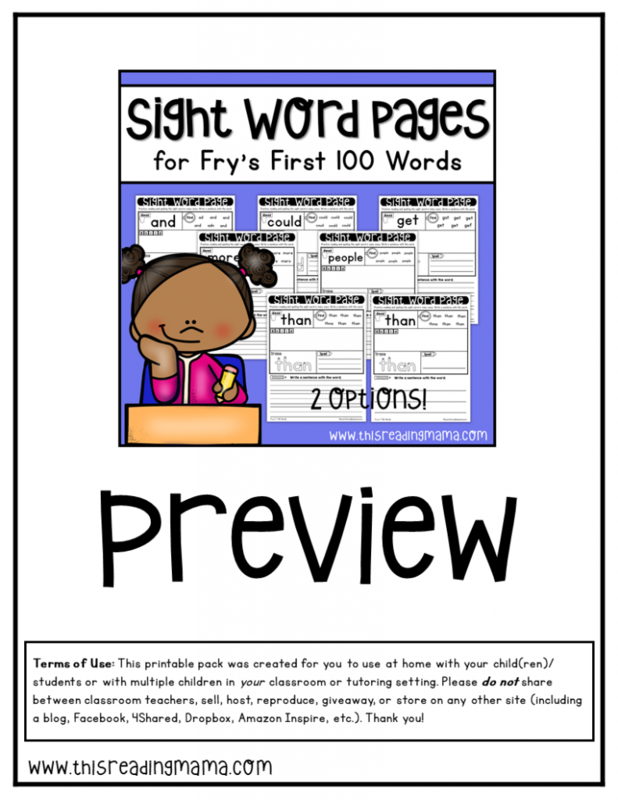 This individual pack includes words from the Fry’s first 100 words only. 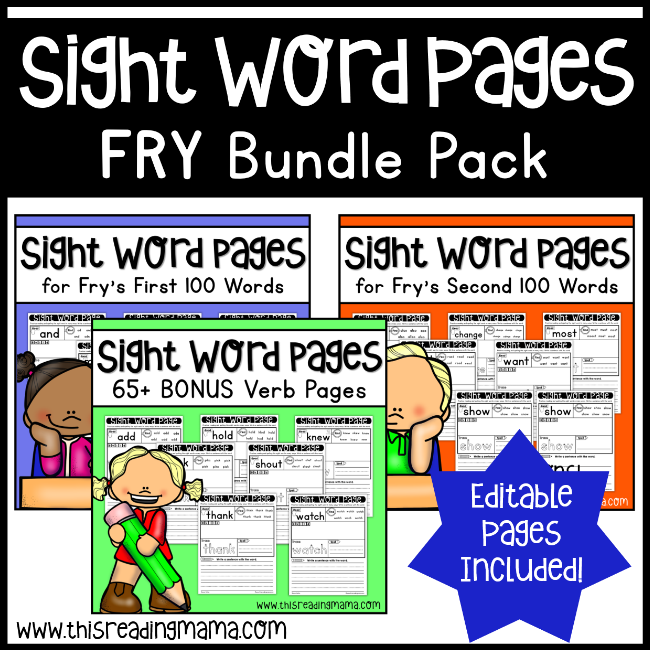 You can get even more goodies with our FRY BUNDLE PACK. 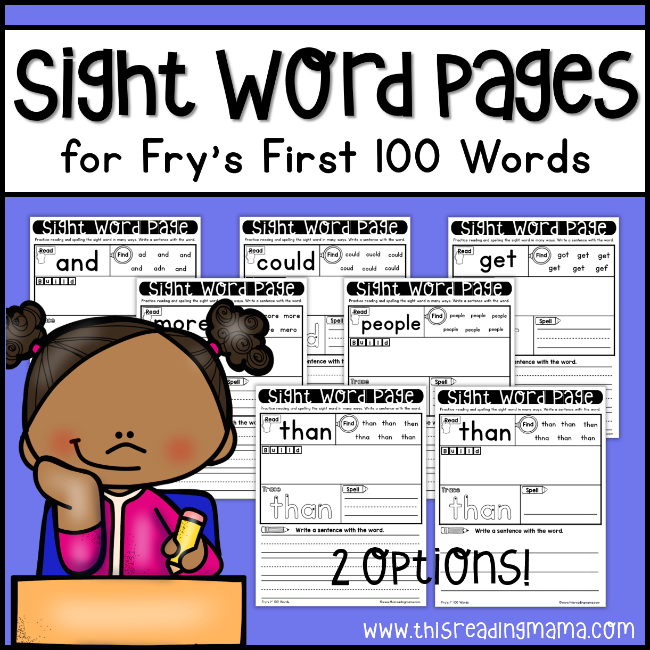 It includes all the words on Fry’s first AND second 100 word list PLUS 65+ Common Verbs and Editable pages not found in our individual packs!